Keep your food chilled and your drinks colder when you’re out on the road. When you’re out on the road experiencing all that the Australian countryside and coast has to offer, you want to make sure that all aspects of your caravan are in perfect working order. Having a working fridge in your caravan is of the utmost importance – who doesn’t like cooling off with drink in hand after a long day of driving? And sometimes, an esky just won’t cut it. If you discover your fridge struggling to keep up, or simply not working, then get in touch with the experts at Towfix as soon as possible. We proudly offer a comprehensive range of caravan services and repairs, including caravan fridge repairs to ensure a smooth and safe journey. Best of all, if you’re located in Sydney, Gold Coast or Port Stephens, we come to you. 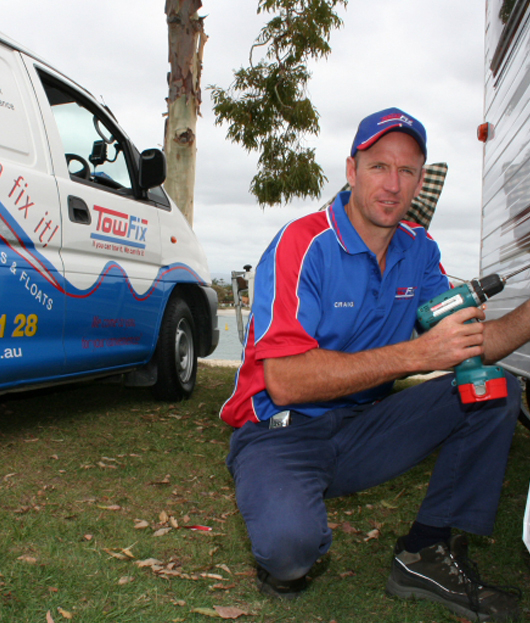 At Towfix, our experts have worked with some of biggest names and brands in camping refrigeration, so you can rest assured knowing that your caravan fridge repair job will be completed quickly and at an affordable price. Our caravan fridge repair service includes repairs to gas refrigeration products, portable camping fridges and caravan fridges. As well as offering caravan fridge repairs, we also offer caravan air conditioning service and repairs, awning repairs, trailer and horse float repairs, mobile caravan repairs and general caravan repairs and maintenance. With Towfix, you’ll be back on the road in no time, regardless of what you’re towing. If you’re in need of a caravan fridge repair service that many along the east coast have come to rely on, then get in touch today. We’re here to answer any questions you might have and to deliver the best possible service with each completed job. Find a Towfix specialist near you – drop us a line on 1800 15 21 28 today, or send an email through our simple online enquiry form.